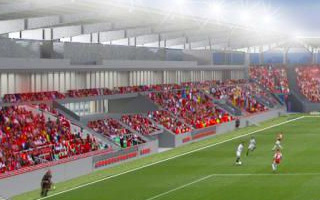 After years of deliberations finally there's a sound plan for one of the last Polish cities still without a stadium scheme. 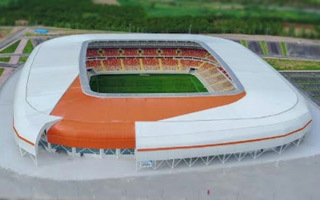 The municipality of Opole expects to break ground on new stadium late into 2019. 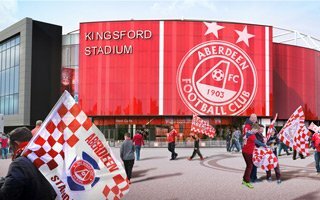 Despite some controversies, the Aberdeen council voted overwhelmingly in favour of the new Kingsford Stadium. 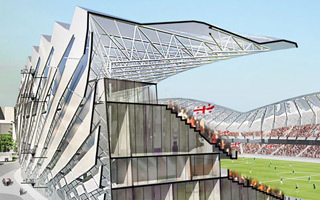 Campaigners against the stadium announce they will pursue judicial review. 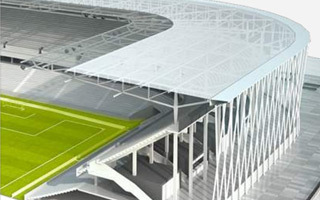 Europe's most expensive private stadium is once more expected to grow. Again, this won't make much of a difference, but there is no doubt Tottenham will sell out all of the proposed 503 new seats. 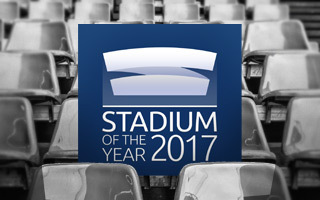 29.01.2018 Stadium of the Year 2017: Let the vote begin! 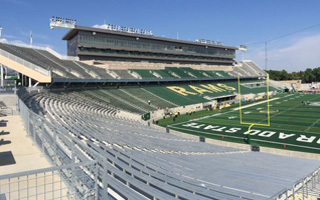 After less than 2 years of construction and $220 million spent, Colorado State University has a brand new football stadium, finally back on campus after half a century of playing outside. 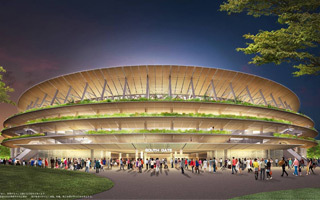 Almost as expensive as Stade de France, it's more a concert venue than stadium, but then again, U Arena comfortably meets all requirements for international rugby and will be one of the 2024 Paris Olympics' venues. Is it even possible to host so many disciplines without a running track? 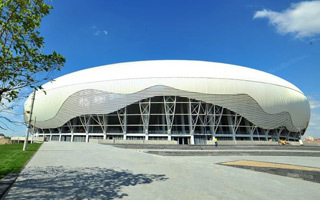 It is when you have an indoor-outdoor arena built into the stadium, topped by a whole complex of other facilities. 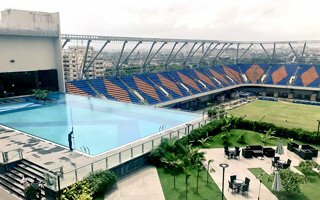 Meet India's most versatile stadium! Possibly as soon as 2019 all derby games of Shanghai will be played at football-only stadiums. 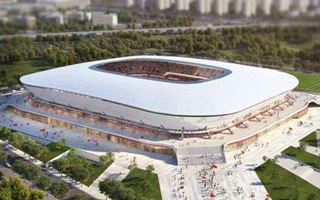 This will happen if Shanghai SIPG FC manage to deliver their new stadium as soon as announced recently. It took far too long to deliver, it already has a disaster in its short history and yet the people of Malawi are proud of it. No wonder, there's no better stadium across this African country. Reconstruction or a new stadium from scratch. 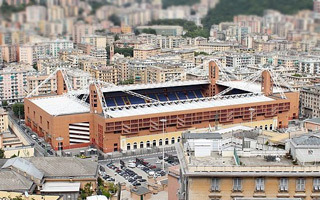 There are four identified ways to deal with aging Stadio San Nicola and none of them is perfect. Revamping could be more expensive than starting from scratch. 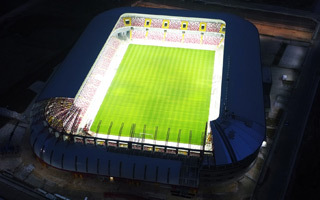 It's one of the most-mentioned nominees in the 8th edition of Stadium of the Year. 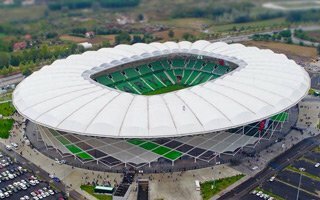 The new stadium in Sakarya stands out on any list, even the growing list of last year's new stadiums. 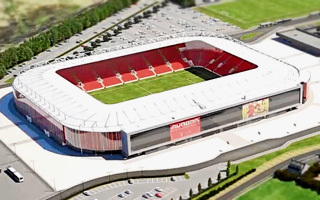 The Aberdeen planning officials support the controversial Kingsford Stadium scheme. If the city council votes in favour on Monday, the project could finally proceed. 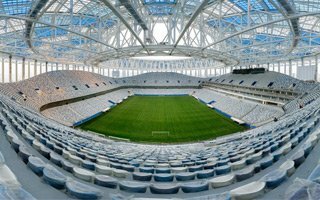 24.01.2018 Nizhny Novgorod: Stadium to get out of the red 7 years after World Cup? 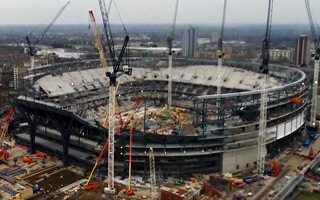 While glazing continues, not only glass is arriving at the new Tottenham stadium, First navy blue tiles were laid. While they made headlines, there's of course far more going on in London. 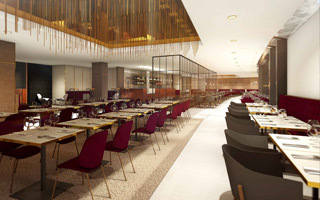 After all, opening is expected in roughly 7 months! 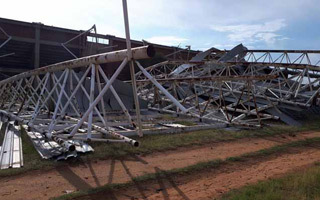 Just 10 years after reconstruction the national stadium of Ghana is in dire condition. 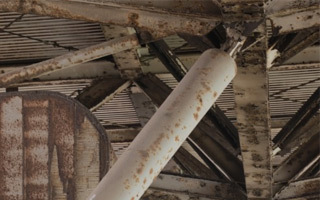 Known for lack of maintenance, Ghanaian authorities don't seem aware of how fast the building is deteriorating. 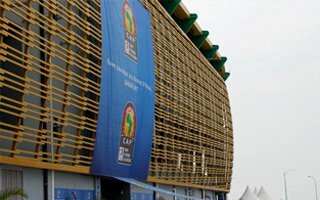 We haven't been to the 2017 Afcon, but thankfully these two missing venues are now part of StadiumDB. 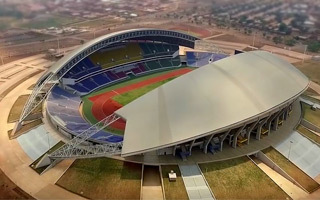 And rightly so, you have after all nominated new stadiums in Oyem and Port-Gentil for the title od Stadium of the Year! Not just any egg, the Brâncuși egg. Loose inspiration and yet the outcome is really satisfying. 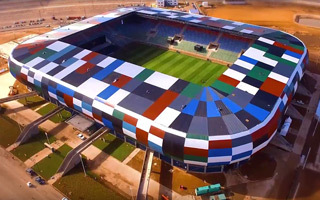 This Romanian stadium indeed deserves to be among your nominees for Stadium of the Year 2017! 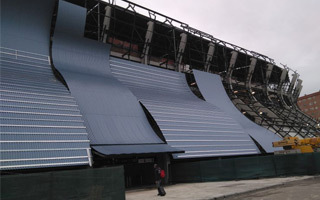 It may have been cheap and built really fast, but it still ended up being one of the most distinctive stadiums in Argentina and beyond. After all, you nominated it to become Stadium of the Year 2017, must have deserved it! 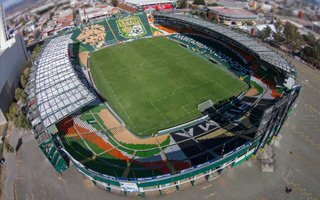 In a rare case, the Mexican supreme court has required the municipality of León to return Estadio León to a private businessman within 30 days. Taxpayers are thus left without a professional football stadium. Can another one be built? 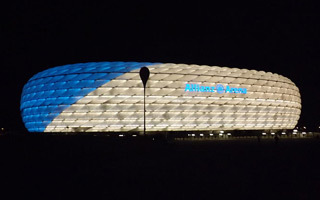 The World Cup of 2006 was hosted in Germany and a big reason for the now four-time winners' bid succeeding was that they already had a number of great stadiums to use for the event. This saved valuable time and money when it came to the planning stage, and the Germans were able to showcase real-life stadiums as opposed to artist impressions and models that some other countries had to use. 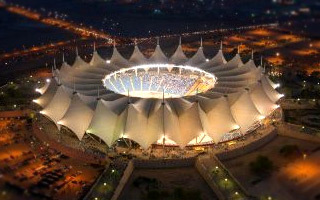 Had the roof travelled 20 meters more, it would have hit houses beside the stadium. Still, the extent of damages is surprisingly large, mainly due to constant lack of maintenance of the stadium. 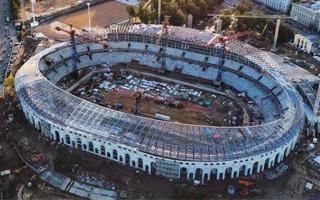 One of the more bizarre stadium projects in Turkey is slowly concluding. Which would have been great news if not the deadline of July 2017, which clearly wasn't met. It seemed very dangerous for a few moments, but no-one has been injured in the end. 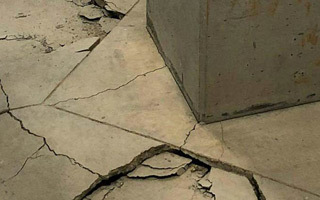 Supporters of FC Porto were asked to leave the north stand in Estoril after serious cracks were found. 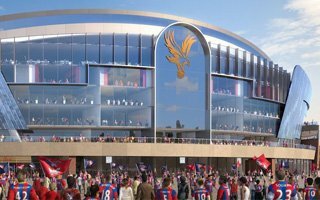 On Monday evening the council cabinet of Hammersmith and Fulham decided to opt for compulsory purchase order of the one remaining house that could block Chelsea's new stadium. And, spoiler alert, there's absolutely no resemblance on the visual side. Still, you should see what's being built in Zhengzhou's new western district. Only in China can a complex of this scale remain unnoticed for so long. 15.01.2018 Stadium of the Year 2017: Nomination process over, thank you! 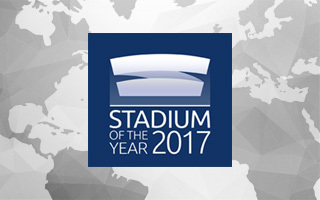 For almost two weeks we were open to learn which stadiums opened in 2017 deserve to be nominated for Stadium of the Year awards. The nomination process is now closed, the vote will begin on January 29. 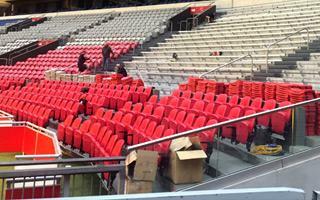 It's quite rare to see NCAA stadiums filled with individual seats rather than traditional bleachers. 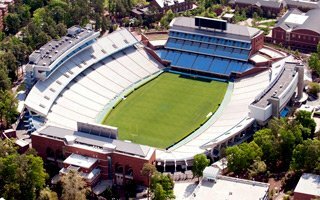 That will be the sight in Chapel Hill in 2018, though, as capacity of Kenan Stadium is expected to fall by 12,000 due to new seating. 14.01.2018 London: Can this house stop Chelsea's stadium? 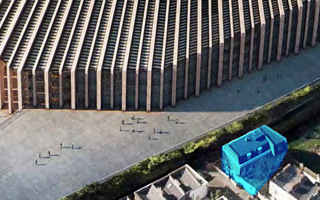 Monday is decision day for one major conflict around Chelsea's new stadium. 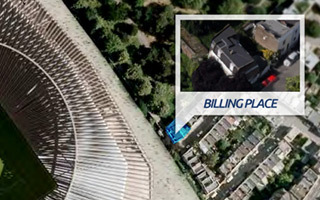 If the Hammersmith and Fulham council decides to go forward with compulsory purchase of one house blocking Chelsea's stadium, the project can move on. If not, it might never go forward. 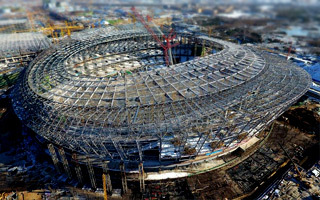 After years of delays the Japanese Olympic Stadium if growing as planned, expected for timely delivery. What was delivered over the past 12 months is truly impressive! 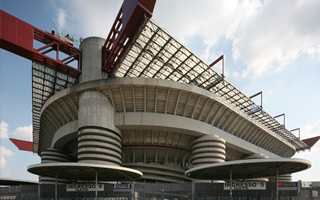 AC Milan have unilaterally terminated their contract with MI Stadio, company managing San Siro. In response, FC Inter did the same thing. This only adds to heated debate about Milan's new relocation plan. Corporate hospitality isn't for fans, not really. 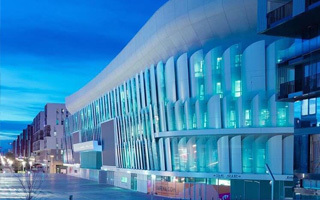 It's for people who might have a number of other things to do at the stadium, be it networking, negotiating or actually buying and selling stocks live. 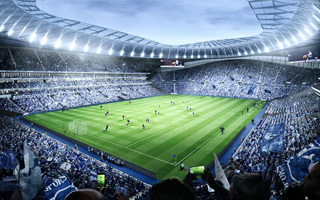 They can do that at a long list of stadia already, but there's much more innovation on its way! 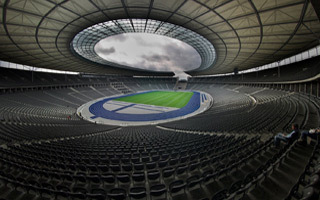 10.01.2018 Berlin: No future for Hertha at Olympiapark? Nothing is decided yet, but talks are considered tough and challenging. Both the proposed conversion of Olympiastadion and a brand new stadium beside it raise very serious concerns in terms of monument protection. It was due for delivery in December but in reality won't be ready until May or June. Over 1,000 people remain at the construction site as race against time continues. 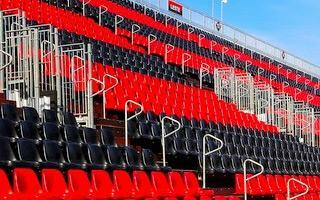 By late February Celta Vigo will have two renovated stands as works at the main grandstand are nearing the finish line. However, further work is already expected to see delays and not begin until 2019. 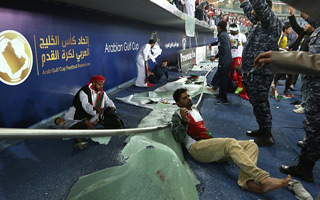 Dozens of Oman supporters were taken to hospital after the glass barrier between them and players collapsed. The incident spoiled celebrations of cup victory, however no-one was seriously injured. A very unfortunate accident took place in Valencia today, where large slidng gate collapsed onto a woman passing by with her baby in a stroller. The child is safe, however the mother is in hospital. 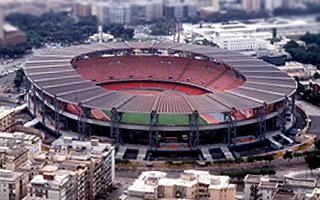 Deadline for decision passed yesterday, but Brazil's 6-time champions need more time to decide on their potential stadium at Avenida Brasil. 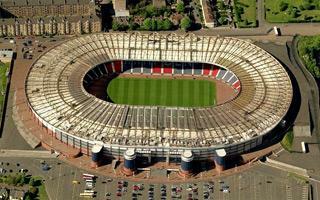 Will the 50,000-seater fit there? 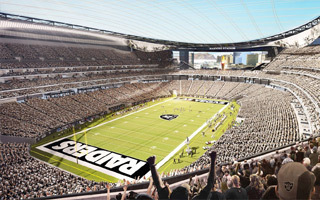 Clark County Commissioners have approved a development agreement with the Oakland Raiders that spells out public safety and infrastructure improvements in and around the stadium that the team will pay for. 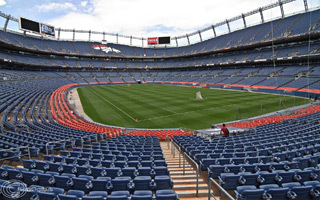 Sports Authority branding will no longer decorate the Mile High Stadium, home to Denver Broncos. 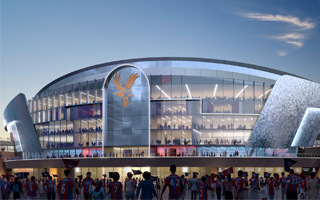 The club now owns naming rights. A Fox31 report. 03.01.2018 Glasgow: Could empty Hampden sink Queens Park? If the Scottish national team leaves after 2020, the amateur club Queens Park will be left with unbearable burden of the national stadium. Could local authorities help? 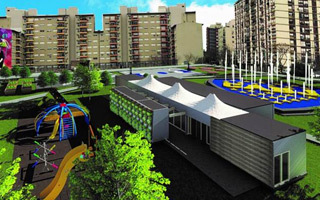 Mayor of Melito, just outside Naples proper, has offered two major plots of land to create an entire sports city. 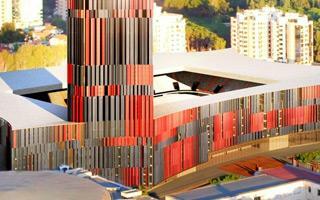 Meanwhile, renowned architect suggests the stadium could be ready in 3 years or even less. 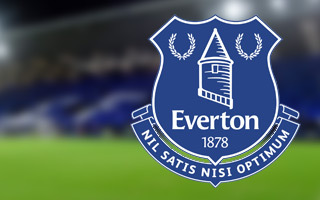 Initially expected to stand at £300 million, budget of Everton's new stadium has now “escalated significantly”, according to CEO Robert Elstone. He addressed the issue in a special letter.